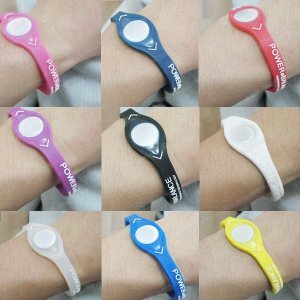 Suite à un partenariat avec un ami nous sommes heureux de vous proposer des Bracelets power-balance à des prix défiant toute concurrence. Les fameux bracelets magiques permettant d'améliorer vos performances arrivent dans notre boutique. Pour seulement 15 euros. De toutes les couleurs de toutes les tailles. Pour commander appelez Cédric 06 23 37 44 73, laissez nous un mail : educ4l laposte.net, commentez ce message. Bref faite nous juste signe. Its like you read my mind ! You seem to know a lot about this, like you wrote the book in it or something. I think that you could do with a few pics to drive the message home a little bit, but instead of that, this is wonderful blog. An excellent read. I will certainly be back. Good day ! This is certainly my first holiday to your blog site ! We have been a team of volunteers and starting a brand new initiative in a community inside the same niche. Your blog site provided us beneficial information to function on. You might have done a wonderful job ! Spot on with this write-up, I absolutely feel that this excellent site needs a great deal more attention. I'll probably be back again to see more, i appreciate you the info ! Have you considered creating an e-book or guest authoring on other websites ? I actually have a blog based on the same information you discuss and would like to get you share some stories/information. I understand my audience would appreciate your work. If you're even remotely interested, go ahead and send me an e mail. Hello my relative ! I wish to point out that this article is awesome, nice written and include approximately all important infos. I'd like to peer extra posts such as this . I like the things you guys are up too. This sort of clever work and exposure ! Keep up the wonderful works guys I've included you guys to blogroll.